An Introduction To Blackjack Tournaments For Those Starting Out! 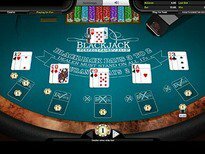 Blackjack is one of the top online casino games in many players' eyes. However for some players who have a real competitive edge they may wish to take things one step beyond just competing with the dealer. This can be done by entering casino tournaments. When playing in Blackjack tournaments, the player also has the opportunity to display their expertise against many other players, and it's a great way for them to get that extra buzz that they can't derive when just pitting their wits against the dealer. Now they can show they've got what it takes to come out top of the pile, and become a Blackjack champion. There are different types of Blackjack variants open to the player and the number of participants involved can range from just a few right the way up to several hundred or even thousands. All tournaments are basically set the same with the participants having to buy-in with an entry fee, and receiving a set amount of chips in return. One good thing about this is, the player no longer needs to worry about getting carried away and gambling more than they can afford as everything is all paid for up front. Now they can strictly focus on their strategy and intelligibly play with the chips that they have to hand. The tournaments themselves are either capped with a specific number of hands being played, or over a pre-determined period of time. As each round concludes the top players continue to compete in the following round and the player that accumulates the most amount of chips at the end of the last round, is confirmed the winner and awarded the prize. This will be a set percentage of all the entry fees, although some Bodog tournaments start out with a fixed cash prize, with others still where the winner can earn non-cash prizes and admission into larger tournaments. Blackjack Tournaments can be quite tough as some players are very skilled and even use some advanced strategies. Going in, the player will need to have done their homework first. Success always comes with a price tag, and it's the only way to become the tournament champ. That said, forewarned is forarmed!